A spectacular pair of 1930's vintage lamp or end tables have carved three dimensional cherubs or angels "supporting" each corner. 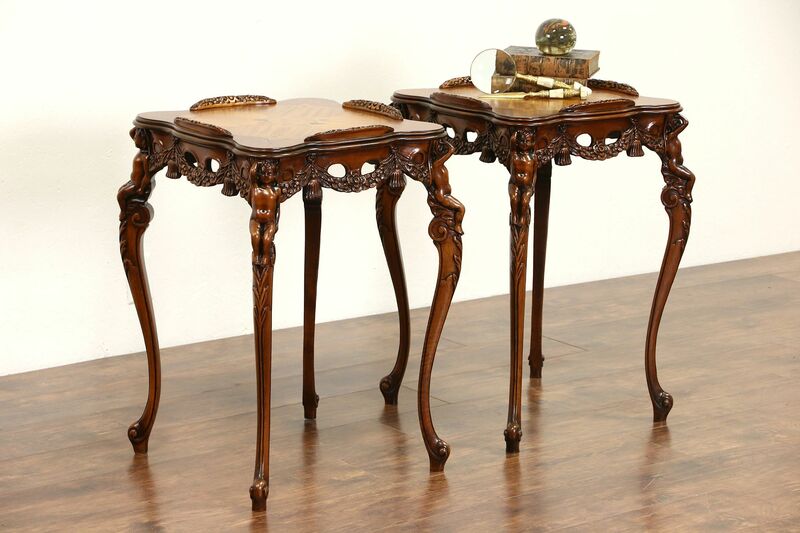 Tops are inlaid marquetry including mahogany and satinwood on this American made furniture. The renewed finish is in excellent condition, there are minor restorations, see photos. Strong and sturdy solid maple frames have lavish piercing and details. Measurements are 21" square and 29" tall including the small galleries.